The Overwatch 2018 World Cup began on Tuesday, as announced by the game’s developer, Blizzard Entertainment. From now until the end of the Competitive Season 9 (April 28), players of the highly popular shooter game will be able to qualify for a spot in Overwatch’s third annual e-sports tournament by placing as one of the top 150 players in their respective countries. Blizzard will be tracking the average skill rating (SR) of each country’s top 150 players, whose stats will be available via the Overwatch World Cup website. 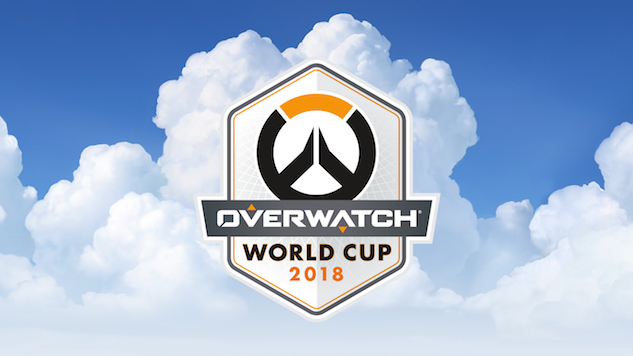 The top 20 countries after this elimination period will be invited to participate in the 2018 Overwatch World Cup. The countries set to host the tournament’s four group stages this year (South Korea, France, Thailand and United States) automatically advance to the World Cup. Therefore, Blizzard has announced that if a host country makes the top 20, the 21st-ranked country will take their place, and so on. In total, 24 countries will ultimately compete in the grand championship. More information about how to qualify for the tournament can be found via the announcement on the game’s website here. One person who might have a hard time qualifying is Dallas Fuel player Minseok “OGE” Son, who was suspended for account boosting by the OWL on March 23—read about that here. In preparation for the Overwatch World Cup 2018, revisit Paste’s 2017 ranking of Overwatch’s heroes right here.